Calling all rude boys, rockers, and rebels! Slick back your quiffs and dust down your Gretch guitars, as UK punkabilly Myspace™ phenomenon and master of the mosh pit, The Hyperjax releases their second album ‘The Bottom Line’ . The no-nonsense northerners provide the perfect antidote to the inescapable mundanity of pop slush. 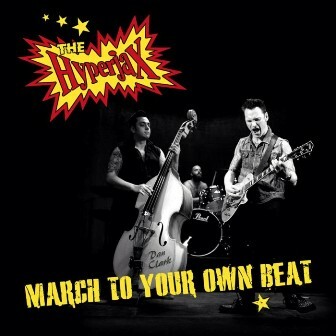 The CD’s 12 original tracks will have fans tearing up the and mosh pit mistletoe in celebration of their gutsy rock’n’roll that takes its sound beyond the generic psychobilly buzz. 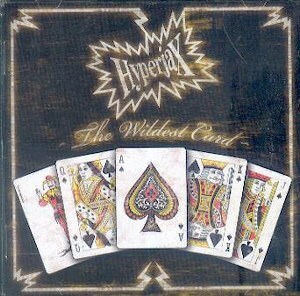 The Hyperjax are in-your-face punkabilly favourites with an international following. They trash the rock 'n' roll boundaries, constantly breaking new ground and offer a two-finger salute to the bourgeois boy-band banality of mainstream music. 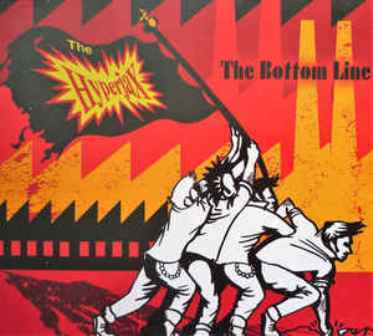 This second album, The Bottom Line, gives fans out-and-out music with muscle; full throttle rock that’ll make their ears bleed backed by heartfelt political savvy that shows the brains behind the brawn. The Bottom Line reflects the band’s left of centre sentiments, with its title song dedicated to those made redundant by the closure of MG Rover’s factory in 2005, and other tracks attacking the meaningless violence of the ‘Adidas army’ and the glamorisation of serial killers in the US. Without the gore, but with all the guts. The razor-sharp Gretsch guitar and pounding rhythms of the upright bass remain to please the quiffed contingent - but the lyrical content and diverse material take them where the other 'billy boys fear to tread.